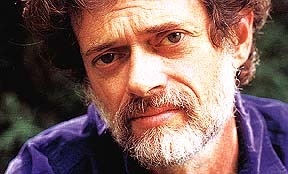 Posted in Consciousness, Creativity, Culture, Eschaton, Future, Imagination, Psychedelics, Science & Technology, Shamanism, Terence McKenna (mp3), Timewave. Lorenzo, why don’t you just make a separate RSS feed with the latest x number of podcasts for iTunes to read? Is it only possible to have one RSS for the site? Hmmm, this is the first time I’ve heard Terence mention his use of Prozac. It kind of explains a lot about the bard in retrospect. I loved Terences comments on looking into the organism in relation to a kind of meditation to the very depths of the macro physical world within our own body to observe the coming and going of phenomena as the felt presence of immediate experience. This is what the historical Buddha did to get insight and eventually his enlightenment. The Buddha called the meditation technique Vipassana, (a Pali lingual word) meaning to see things as they really are.